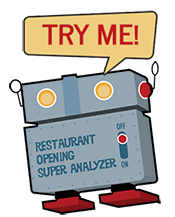 In 2014 we responded to a request for proposal for the development of a fine dining restaurant in downtown Atlanta. We had no idea we were bidding against some larger firms from New York City and around the US. We also had no idea we were bidding on a project for architect maverick John Portman, who is responsible for transforming Atlanta’s skyline in the early to mid 1960’s. At that time Mr. Portman had designed the building at 230 Peachtree Street as well as many more iconic skyscrapers as part of his Peachtree Center project where he also created and launched the lauded Midnight Sun restaurant. In 2013, at the age of 89, Mr. Portman purchased 230 Peachtree Street as part of his downtown revitalization project which would include a boutique hotel and a restaurant that would draw cues from and harken back to Midnight Sun. Blue Orbit won the bid as was engaged to develop the concept. We had the opportunity and honor to work directly with Mr. Portman from 2014 to 2016 on everything from menu creation and service to layout and design. Our role was to transform Mr. Portman’s dreams and aesthetic choices into a restaurant that would revere Atlanta’s resurgence as the South’s business hub. 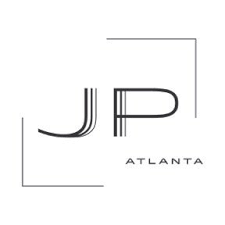 We worked with an incredible team of designers, architects, builders and business leaders to bring JP Atlanta to life…and to be sure it would provide Mr. Portman with a place to get his favorite Eggs Benedict in the morning and a chef-crafted French Onion Soup in the afternoon. The concept we created captures the opulence and forward thinking of the era defined by Peachtree Center. Blue Orbit co-created the concept, developed the training materials, hired the management team, directed menu development and and finally transitioned operations to the management company who would also operate the boutique hotel above it. We cherish our time with Mr. Portman and his team and will always remember this project fondly.